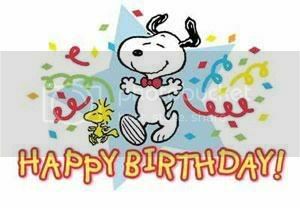 Hope You Have a Fabulous Day, Mandy!!! Happy happy birthday to my very dear friend even though I know you don't do birthdays anymore. I was not going to let ths special day pass !!!!! But I never was any good at followin instructions !!!! P.S I need/want a photo of you in the Chanel blouse !!!!! 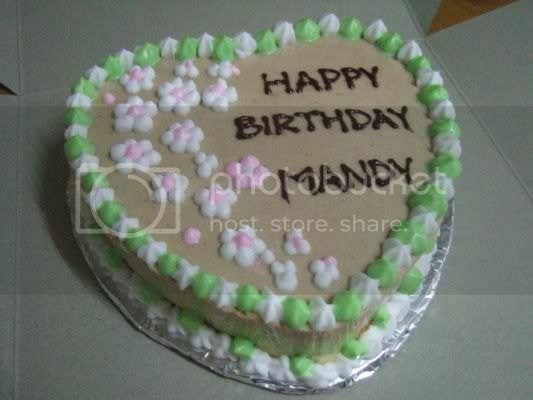 I hope you have a very happy and memorable birthday Mandy! P.S Snowy says happy birthday as well .Something along the lines of woof woof yap yap !!!!! HAPPY BIRTHDAY MANDY. HAVE A WONDERFUL DAY, SWEETIE!!!!!!! Oh my goodness gracious, I'm blushing beyond belief. Thanks so much, you guys, for your happy wishes. It was a wonderful, relaxing day, doing my fave thing alone while everyone else is at work, which is watching movies, and ended up doing my fave thing that requires another person, which is smooching. With an incredibly good smoocher, no less. And wearing Fiona's Chanel shirt, which I must say, left this young man speechless with his jaw dropping. Guess I pulled it off quite well, even in my 43-year-old bod. Thanks again to everyone for thinking of me, and for posting today. It's my first birthday without any parents, so your well wishes mean all the more.